Rotman has undergone a dramatic period of growth in recent years, nearly doubling the size and scope of its research and educational activities. To accommodate its expansion, the School has opened a $91.8-million building next to the existing one at 105 St. George. The state-of-the-art structure provides the School with a home worthy of its global ambitions, helping us to attract top corporate recruiters, professors and students. 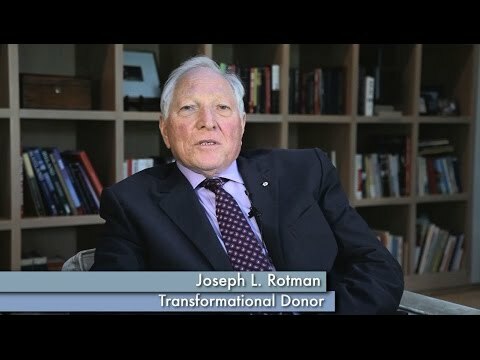 When you spend eight to ten hours per day in a building, it has to be ‘built for life’, as comfortable as it is functional, and the Rotman School is just that. The School is housed in a bright, modern building that comes with state-of-the-art classrooms and user-friendly study spaces and breakout rooms. As part of its ambitious expansion plans, the Rotman School has opened a new $91.8-million building adjacent to — and fully integrated with — its existing structure, more than doubling its available research, teaching and study space. Designed by globally-renowned architectural firm Kuwabara Payne McKenna Blumberg (KPMB), the building is designed to meet the exacting standards of the Leadership in Energy and Environmental Design (LEED) Canada Green Building Rating System. Featuring natural materials, green roofs, a multi-storey foyer with a grand central staircase, new classrooms and a 400-seat event facility, the building provides Rotman with a home worthy of its ambitions to become a global leader in innovative business education.